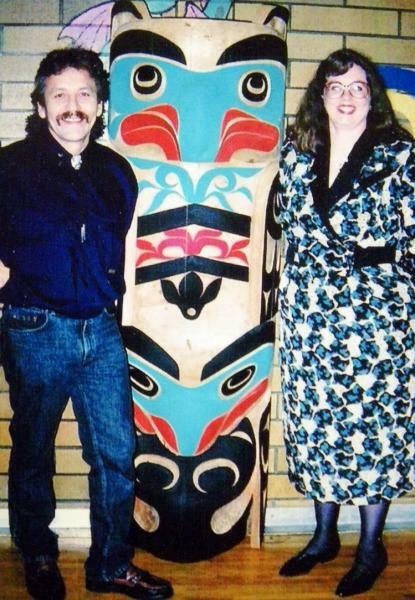 Pictured: Artist and school parent Art Thompson and Karen L. Colussi, one of the founding parents and first administrator/principal of the Pacific Montessori Society School, now known as the Selkirk Montessori School. The Pacific Montessori Society (PMS) is a non-profit society officially registered with the provincial government and registered with the federal government as a charitable organization. A copy of the Society’s constitution and bylaws is filed with the Registrar of Companies. The Society was founded in 1980. All parents in good standing are members of the PMS. In accordance with the Societies Act, the Board of Directors of the Society is elected at the annual general meeting, and serves without any remuneration. Terms are for three years and members of the PMS are eligible to run for office.